Why is Team GB so good? Team GB has secured its greatest ever medals haul at an away Olympic Games after an unforgettable couple of weeks in Rio. For now at least, GB sits 2nd in the medals table – above China – and has smashed its official target of 48 medals. The team has massive momentum and confidence, and it is clear to see the likes of Jason Kenny, Callum Skinner, Andy Murray, Max Whitlock, Laura Trott, Adam Peaty, Jade Jones et al are inspiring one another. At Atlanta 96, Team GB won one gold – courtesy of Redgrave and Pinsent in the coxless pairs – and finished a lowly 36th the medals table. The subsequent progress has been remarkable and exponential, and is largely attributed to National Lottery funding. Simon Timson, director of performance at UK Sport, points out that it is no fluke. London 2012 also provided a huge shot in the arm for British Olympic and Paralympic sport, and the fruits of its legacy are only really being seen now, with increased participation in grassroots sport to go alongside the British medal rush. Long-term investment in talented athletes is key to our success – while most nations invest in two or four year cycles, British athletes and coaches receive investment over eight years. Even where medals haven’t been secured, performances have improved. GB have landed around a dozen 4th place finishes, but rather than viewing those as failures the vast majority have been athletes who have over-performed. 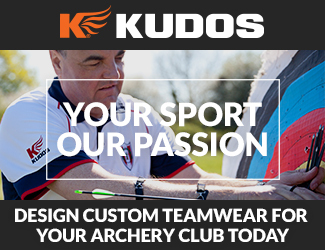 In archery, Naomi Folkard was competing in her fourth Olympic Games and enjoyed her best performance yet, reaching the quarter-finals of the women’s individual recurve in her Olympic swansong. Patrick Huston, in his first Games, had a tough draw and after beating the world number 7 in the first round, came a cropper in the next round to the world number two. He will have many more opportunities to come. In swimming, Adam Peaty – and his Nan – became household names after Peaty took gold in the men’s 100m breaststroke, obliterating the field in another world record time. At just 21 years of age, Peaty has an incredible future ahead of him. GB’s women’s hockey team have a 100% record and they take on the Netherlands in the final. A live slot on prime-time BBC television will give the girls and the sport maximum exposure and so, win or lose, the squad have done British hockey proud. Good luck to the team! While many of the achievements seen at the Olympic and Paralympic Games seem unattainable to most of us, the fact is barring the tennis players and the golfers, most of these sportsmen and women remain either amateur, unheralded or both. You might think Adam Peaty is a filthy rich superstar living in a celebrity bubble. He isn’t – he lives with his parents in Uttoxeter and wakes up every day at silly o’clock. What we are seeing is normal people doing extraordinary things, courtesy of years of ferociously hard work, investment and dedication. For all of these sports stars, the grassroots is where it began. No local sports clubs, no Olympians. If you have felt inspired by what you have seen in London and in Rio, then find a local sports club, get active and become a part of the legacy. KUDOS passionately encourages people from all backgrounds to take part in sporting activity at any level, from grassroots to the top. We recognise that sport is a powerful force for good. 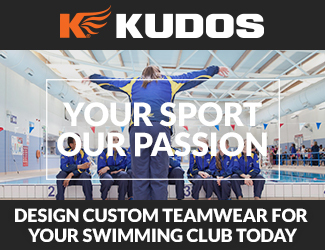 KUDOS is proud to supply kit to a variety of sports clubs across the country – custom teamwear that is built for performance and worn with pride.